This week has been very busy again, I'm really starting to miss working part time. I feel like there's never enough hours in the day and taking any photos for the blog is becoming impossible because my official photographer (my reluctant brother) also has a full time job now. Time to invest in a tripod? Enough of the moaning though, it's been very busy but also a rather lovely week. I thought I would share what I've been doing in work all week as I don't talk about my job on here that often. It can be a little dull sometimes, with the same routines everyday but I like to get stuck in with the fun marketing initiatives in work. We wanted to gather feedback about the libraries from the students but also promote our collections and make the students aware of the history of Wales. 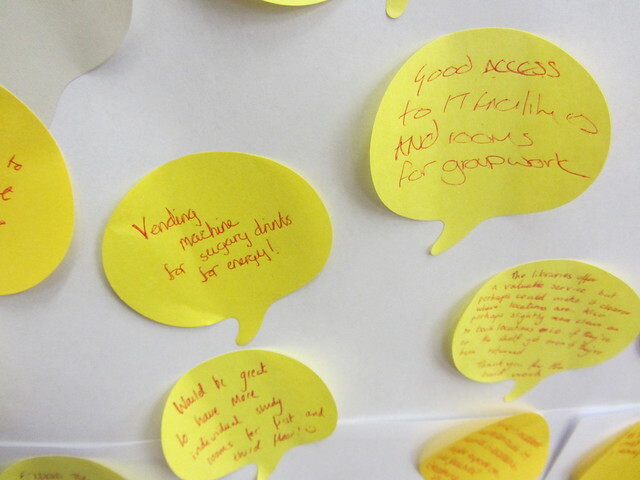 Apparently St David's last words were 'Do the little things' so we asked the students what little things can we do to make a big improvement to the libraries? 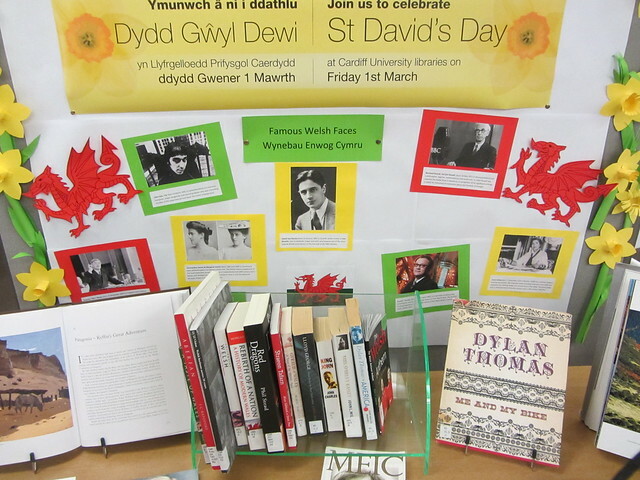 I handed out free mini Welsh cakes to bribe the students to leave feedback on a post-it note and I made a little display about some famous Welsh people and displayed some lovely books from our Welsh collection. I can safely say that my paper daffodil making skills highlight the fact that I was never meant to be an artist but might of been a good primary school teacher. Some of the more serious feedback comments are below. Some did just say 'we love Welsh cakes' or 'ERASMUS 2013 WOOO' but I'm very happy with the amount of feedback we got. Just have to type them all up now, eek. 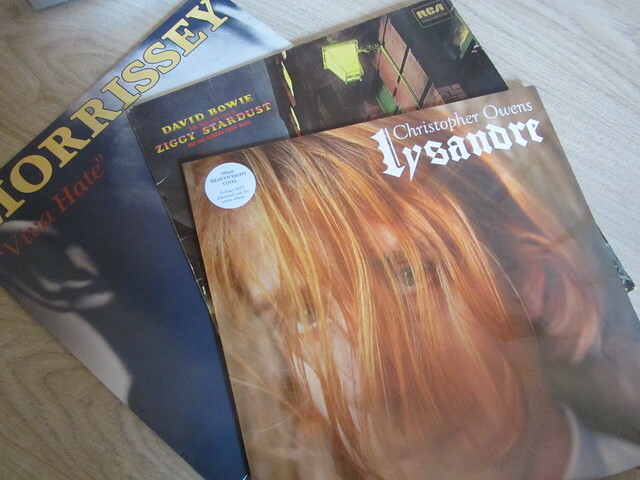 After a manic week I didn't commit myself to a night out on the weekend and I've been enjoying early nights, a roast dinner and a day of listening to my favourite records. All my records and CDs have been in thr attic since I moved house last year so I got up there and brought down a selection of my favourites which I've been itching to play for months. I also bought copies of some new releases this week like the Bastille album and the Christopher Owens one, I'm loving both. I try to make an effort to buy dircect from the bands so they get more of a share of the profit and you benefit too because they usually sign them or include some free gifts. I've always bought my music online but I popped into Spillers Records to pick up the Christopher Owens album and managed to get loads of free music mags to read on the train home. 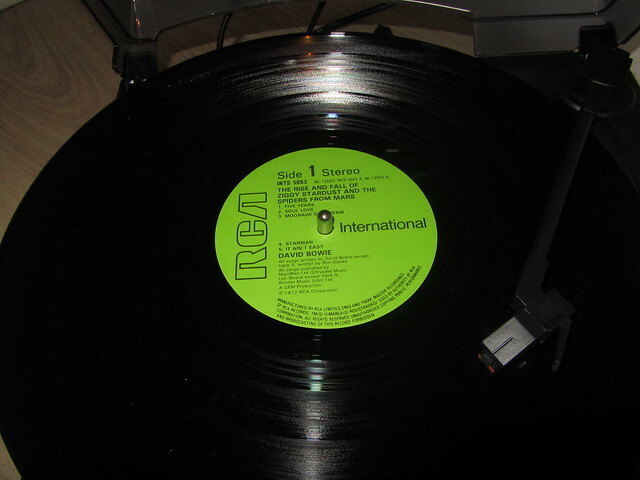 What have you been up to this week and what records should I buy next? Always on the lookout for some new music. I love your little display, you really would have been a good Primary Teacher looking at that! 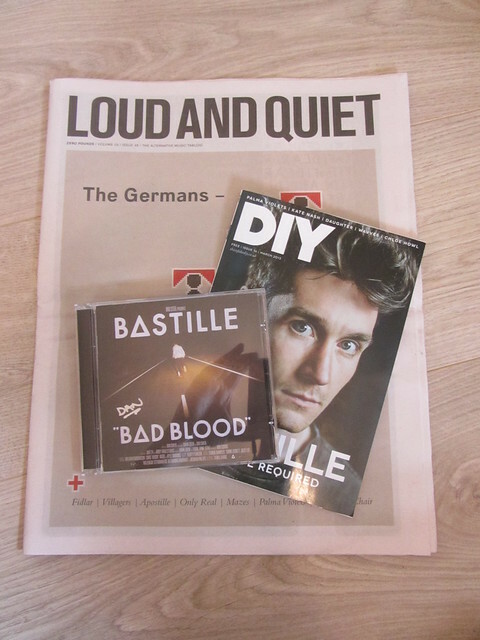 Oooo I want the Bastille album! I love the daffodils, they are so pretty! :) I know what you mean with working full time, sometimes I feel like I can't catch up with myself! the new biffy clyro album is amazing! i'd definitely recommend that.